Welcome to the concise-writing game, Tighten This! Here’s Challenge Sentence 35, courtesy of Rhonda Bracey. The kind of sociodemographic information to be included in the survey is ultimately determined by how the information has been planned to be used. 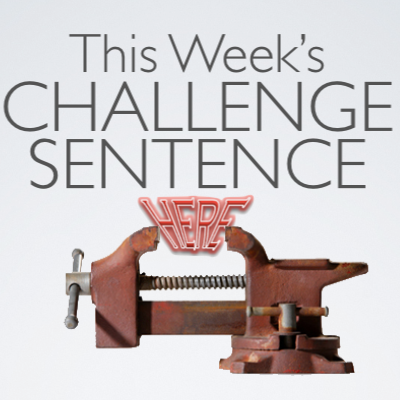 Though it’s not the wordiest sentence we’ve seen in Tighten This!, or the hardest to understand, last week’s Challenge Sentence might be the most convoluted. It’s time for Extreme Makeover, Editing Edition. Let’s untangle this sentence and find its main parts. What’s the subject? Is it the information? The survey? The people using the information? The way the information is used? Well, yes. I mean, maybe. It could be any of those. Or none. What’s the main verb? Include? Plan? Use? Something else? Gosh, I sure ask a lot of questions for someone from New Jersey. For the deep-down makeover we need, there’s only one question worth asking: What’s the sentence about? It’s about people putting together a survey. The information you collect should answer your research questions. What was once an eyesore is now refreshingly direct. Nice going! Before we untangle this lulu, let’s examine a coupla two or three things. First: sociodemographic? I looked it up. The difference—assuming, charitably, that one exists—between demographic and sociodemographic is a wee one—too small to warrant ever using the longer. Second: information included in the survey? Don’t we survey to get information? Third: how the information has been planned to be used? Aw, c’mon, man! The author of this sentence, in 23 words, inflicts a lot of pain. Determine what demographic info you want, and then write the survey accordingly. The survey’s purpose determines the wording. The planned use of the sociodemographic information determines what goes in the survey. Parameter results from in situ monitoring are comparable with Sections 4.2.1 and 4.2.2 of the approved Monitoring Plan. Thanks, Julian. You’d be disappointed if we gave you Challenge Sentences that required no struggle. In situ monitoring as per Sections 4.2.1 and 4.2.2 show comparable results. Approved Monitoring Plan results are comparable. Thank you, Jim. When in doubt, leave it out, eh? It doesn’t tell us anything! Ali, You didn’t expect us to make it easy on you, did you? On-site monitoring results are consistent with sections 4.2.1 and 4.2.2 of the monitoring plan. The Latin?! Only you, Richard. Wasn’t that hard; I just typed “define: in situ” into Google:-). If we’re going for translatable, I figured Latin would be verboten:-).